Abstract: In this month’s column, Kerry Hennigan discusses how history will perceive Michael Jackson and ponders if there will come a time when his name will cease to be associated with unwanted controversy. She then poses the question of who should write the real story of Michael Jackson for future students of the arts and popular culture so that they can better appreciate his positive global impact. Hennigan, Kerry. 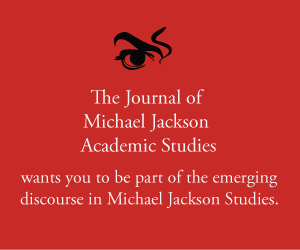 “MJ Studies Today XXXIII (14-09-2018).” The Journal of Michael Jackson Academic Studies 6, no. 1 (2018). http://michaeljacksonstudies.org/mj-studies-today-xxxiii/. He was writing about famous 18thcentury political and military figures on both sides of what became the American War of Independence. But his words set me thinking about how history would come to perceive of Michael Jackson once some of the dust has settled on the arguments over the handling of his legacy, and the tabloid media have stopped using his name as click bait. Dare we assume that a time will come when Michael Jackson can be perceived without the distorting filters of spurious accusations, whether about his behaviour, his appearance, his art… anything, in fact? Sadly, I have some doubts about that ever being possible. If we look at public figures whose lives have involved widely broadcast controversy, not to mention, in Jackson’s case, a criminal trial, it bodes ill for their legacy ever being free of the sickening taint of false allegations and campaigns of outright character assassination. Does that mean, then, we should accept as inevitable the controversial (specifically, the disputed and erroneous) aspects of what is said and written about Michael Jackson being inextricably linked with (and overshadowing) the real story of his life, artistry and philanthropy? This conundrum highlights the importance of the investigative work done by dedicated fans and researchers and is one reason why MJ Studies and the role of conscientious academics are so vital to Michael’s long-term legacy. The question then is who should tell Michael’s story for the benefit of future students looking back on 20thand 21stcentury popular culture and one of the greatest game changers in the field of entertainment? I believe there is an on-going and, hopefully, influential role for us in the way history comes to perceive and understand Michael Jackson. Jackson, Michael, quote (used out of context) from This Is Itmovie, Columbia Pictures, 2009.